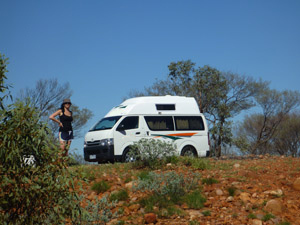 Thank you for reading my article based on what I learnt from my 21 day campervan holiday from Alice Springs to Brisbane in February 2010. 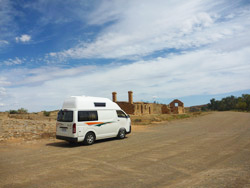 After some intensive research and agreeing to a loosely planned itinerary, my partner and I hired a Britz Hitop campervan. 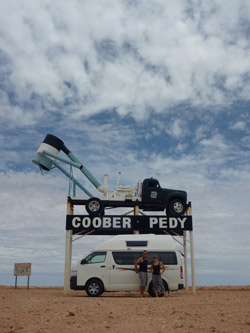 This was the best type of vehicle for us as we were not concerned about having a toilet and shower onboard and wanted to travel as easily and as inexpensively as possible. At the depot the staff were very professional, patient and friendly. On our arrival we were asked to sign papers, show both our drivers licences and make the final payment. It was beneficial for us to watch the ten minute DVD for the specific camper we had hired as it showed us step by step the ins and outs of the vehicle. Not only was there an explanation and demonstration of the equipment and how it operated, but it also illustrated how to fold down the table and chairs into the bed position. The DVD covered all aspects of the vehicle including where the indicators are located, how to turn on the gas bottle, where the power cord plugs in and of course, numerous safety tips. The Depot Representative accompanied us to our vehicle and finalised the contract by pointing out any existing marks, scratches or faults inside and outside of the camper. We were able to point out anything that concerned us (ie. a very small chip in the windscreen) which was added to the report. After the report was signed by all parties, the keys were in our hands and we were on our way! Remember to ask about local attractions or things to see, as they are more than happy to help. The set up of the camper was great. We had enough room to store our backpacks under the bed. There was no hanging space for clothes, so we simply stored them in our backpacks for the entire trip. Since the outside table and chairs were included in our Stress Free Package we were able to leave the bed down throughout the entire trip, which was a huge advantage. The weather was perfect for sitting outside morning, noon and night. We found the bed to be very cosy and comfortable. Make a Plan - Decide what you want to see and where you want to go, and then map it out to ensure that you have enough time for the distance you need to travel. Remember that driving every day can be draining and can make the trip less enjoyable. Check Depot Hours - Depots have different branch hours and may not be open every day in every location. Estimate Fuel Costs - The cost of fuel at each service station varied greatly. I think the most we paid was $1.67 per litre and the least was $1.19 per litre. Over 5,000 kilometres this could be a massive difference to the cost of your trip. Look at fuel watch websites for each state as a guide on what the cost is for each city or town you will be travelling to. The fuel consumption on our vehicle was approximately 500 kilometres per tank. This is a little less than what was advertised due to high wind areas in the outback. Check the Weather - It's a good idea to investigate the average temperature for the month you are travelling in and the cities and towns you are travelling to. Choose a Campervan that Suits - Look at the features of each campervan and decide what is important to you. Roadside Assistance - At the depot when picking up the vehicle, take note of the 24/7 Roadside Assistance number. If you cannot find it (usually on the back of your key tag), ensure you ask the representative. Take it Slow - When it's your turn to drive for the first time, take it slow. The vehicles are just like driving a car but I found that there was some wind resistance due to the height. Buying Food - When buying food, non perishable items can be stored in the cupboards. The fridge space is limited and if overfilled may prohibit how effectively it works. Expect the Unexpected - Flat tyres do happen and never in a convenient place. Be prepared to change a tyre and perhaps wait a few hours or overnight to be repaired. Remember to keep your receipt and hand it in at the end of the hire to be refunded for the cost of repair (if you are covered for tyre damage). Caravan Park Memberships - If you are travelling extensively throughout Australia, become a park member for one of the major brands. We signed up to BIG4 and were able to make bookings online at a discounted price. 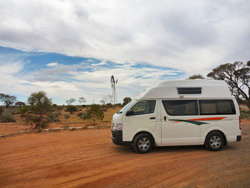 Camp Grounds - Understand that caravan parks are unique. Not all parks offer free cook tops and BBQs. Some have coin operated cookers and it might be handy to keep some spare change, especially if you arrive late and the office is closed. We learnt to ask at check in. Random Breath Tests - They are everywhere. Even in the centre of Australia in the middle of nowhere! Keep the Doors Closed - At night, ensure you keep the camper doors closed to keep out those unwanted insects. It takes more time to shoo them out, than to close the door. Get up Early - It is a great plan to get up early and start driving to your next destination. Not only are you well rested but you will have the afternoon with new surroundings. Driving at night or in the dark is not recommended, especially if you are not sure where you are going or what to expect when you get there. 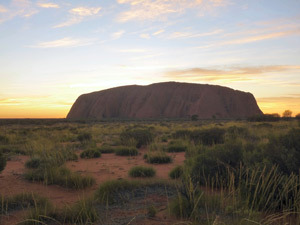 Pack Smart - Even if you are travelling to the centre of Australia in the middle of summer, I would recommend packing some warm clothes. The evenings can become cool, especially if you are sitting outside for a couple of hours. Crossing State Borders - Due to Australian States being in different time zones, the times may alter. Be prepared to adjust your clock when travelling between states as this could affect your arrival times. It may be half an hour to an hour different which would affect your judgement with closing times for shops, petrol stations, caravan parks. Share the Driving - Driving can become tiresome and if you share the driving not only will it make your journey safer, you will be able enjoy the beautiful scenery and landscapes of Australia from the passenger seat. Recharge your Batteries - If you are at a powered campsite, remember to charge your camera batteries overnight. Take your car charger to recharge your mobile phone during the day while driving. When we returned the campervan to the depot in Brisbane it was a very quick procedure. I handed in the keys and filled out a feedback form about the staff and the vehicle. This is the perfect opportunity to discuss any suggestions you may have or difficulties you experienced if you haven't already expressed your concerns via the 24/7 Roadside Assistance. The contract was terminated after visually inspecting the vehicle with the Depot Representative and it was mutually agreed there was no apparent damage. Forms were signed that stated the time and date of the rental return. I would definitely recommend a Campervan Holiday to my family and friends and can not wait for my next holiday! Who knows, perhaps I could tour Tasmania, New Zealand or USA? There are so many places to see and so little holiday time! Click here to help you get started. The short slide show will explain the different vehicle classes, how to choose your vehicle, renting essentials and more.